RTF B-12A ESC Run cool as ice when your ducking trees with the BL-Heli active braking version, are made for Racing MultiCopters - specifically to run at 2-4S. They also feature ultra light weight construction with excellent thermal properties for a ESC - the MOSFETS are specifically selected to run with the least amount of heat production and highest efficiency. 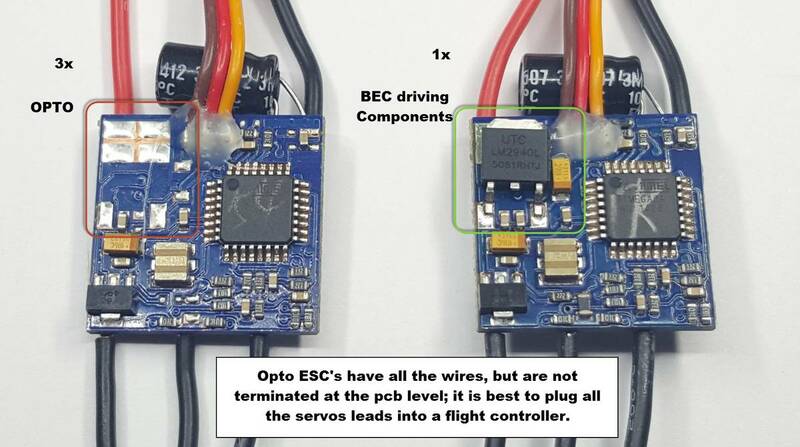 For Cleanflight ,Baseflight, Tau Labs, MWii, any flight code which is OneShot enabled - these ESCs are OneShot auto-detect ready. The input capacitor has also been upgraded from 16 to 25V for ample operation. Plus the added a heat-sink adds for even better sustained high current operation. Try to keep them in moving air is best. These ESCs will give your multi rotor quicker reflexes, less drift, and smoother flights. These are so fast, compared to standard ESCs you can double your PI gains! 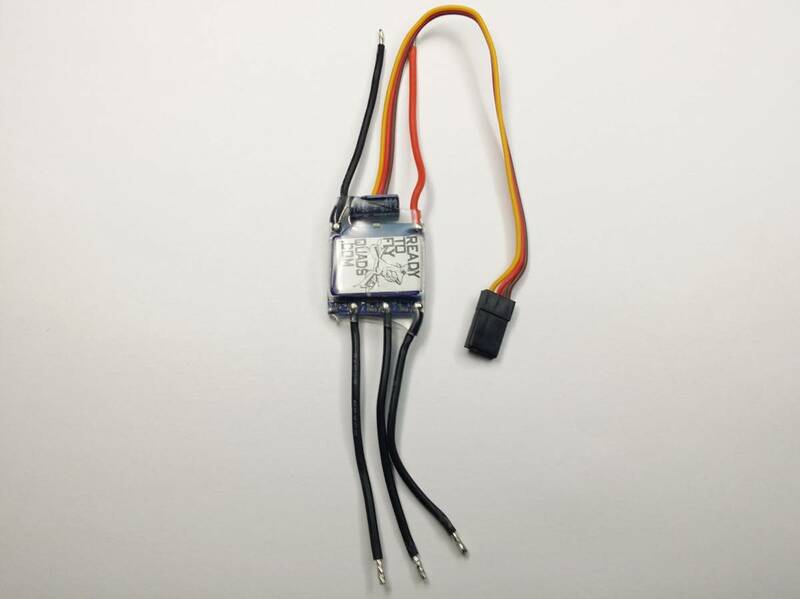 ALL ESCs are flashed with the most current version of the famous BLHeli Future software updates can be performed through the servo cable eliminating the need for complicated flashing jigs.